Nature's Voice Manawatu is the local web site for the Manawatu Branch of Forest and Bird. Here, you can find information on upcoming events, projects, news etc. and details on how to contact us. The Manawatu Branch encompasses a very diverse area from an environmental, ecological, geological and geographical perspective, extending from Dannevirke to Feilding, Palmerston North and beyond. Our region is bordered on two sides by the Ruahine and Tararua Ranges, contains the headwaters of the Manawatu River as well as much of the river course and flood plain, and includes the unique Manawatu Gorge. The Branch has roughly 450 members, many of whom are active, working together to help enhance or restore the environment, as well as members who are happy to attend monthly meetings or purely read about our Branch and what it gets up to. A youth group has been formed, and, additionally, around 150 children are in the Kids Conservation Club (KCC). Click on the Email Sign-up link to sign up to our email list - you do not need to be a Forest & Bird member to get our emails. By signing up, you'll receive information about programmes, upcoming events and talks, and projects around the region. Stay informed and get involved! FOREST AND BIRD MANAWATU - WE NEED YOU! You will need to be a member of Forest & Bird to help on the Committee (membership details below), but that is quick and easy to sign up to and is not too expensive. Thanks for thinking about how you can help. 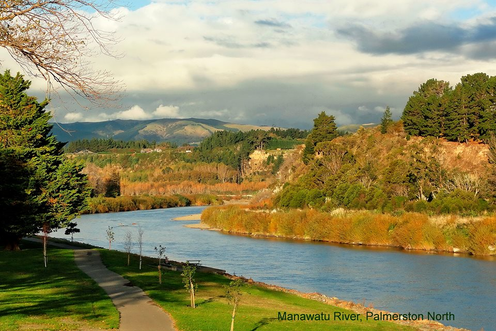 The Manawatu Branch is looking for people to serve on the Committee. If you are interested in local conservation and environmental matters and would like to help with the Committee decisions, now is your chance. The Committee meets the first Tuesday of every month (except January) at 7.00 p.m. The meeting is over by 9 pm and Brew Union is just across the road from the meeting room. We would really like a person to take responsibility to set up, and organise, the F&B Manawatu Monthly Meetings and, to organise any event at which the Branch will have a presence. On the Meeting nights the rest of the Committee will help you with this task. For news, trip photos and campaigns (F&B Manawatu and F&B Manawatu Youth). Once you join Forest & Bird, your details will be sent to the local branch, and you will then be sent details of branch events etc.